← Endless Jewelry Collection coming to Jewelry Warehouse! 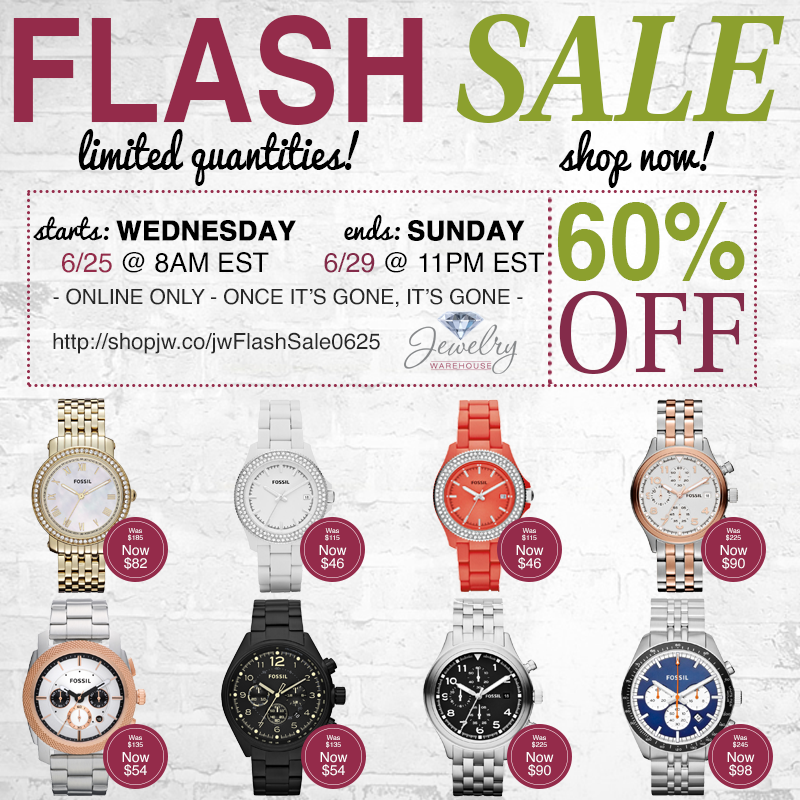 It’s a Fossil Flash Sale! Today through Sunday (or while supplies last), we’ve selected 8 Fossil Watch designs to offer at 60% OFF! This entry was posted in Sales, Watches and tagged flash sale, fossil, fossil watches, sale, watches. Bookmark the permalink.